5XFZ-15Scombined Seed Cleaner is seed processing cleaning machine & researched and designed by our company,reasonable design, reliable performance,suitable for seed companies, farms ,grain and oil processing etc. 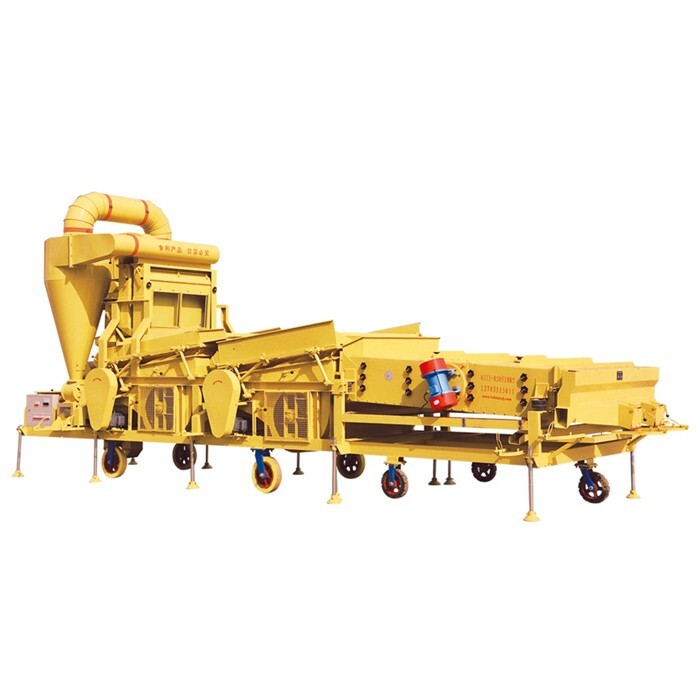 1)This machine is mainly composed of frame, elevator, bulk seeds box, double Air Cleaner,double Gravity Separator, grader, electric control and walking device, etc. 3)The machine cleaning is convenient, can effectively prevent the confounding, guaranteeing the seed purity,quality and other agricultural and sideline products and economic crops. 1- Advanced technology: The machine integrates non-broken elevator.two air separator,dust removal, Gravity Separator and grader function. The frequency of the gravity platform is controlled by a seamless electromagnetic process. The overall performance of this product is one of the best machine in world. 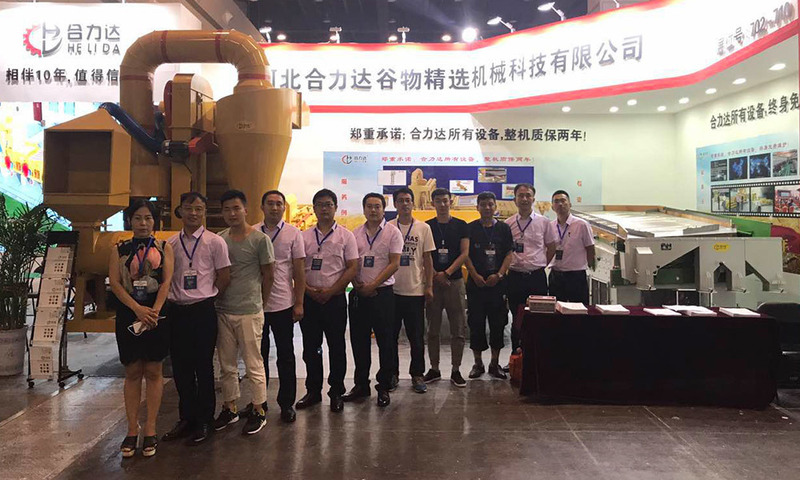 2- High productivity: The machine has a highly efficient and rapid processing method , and is particularly suitable for processing and roasting operations. 3- Wide applications: The machine is ideal for cleaning melon seed (sunflower seed, water melon seed, white melon seed, red water melon seed, etc) beans, wheat, corn and rice grain and other grain-like materials. 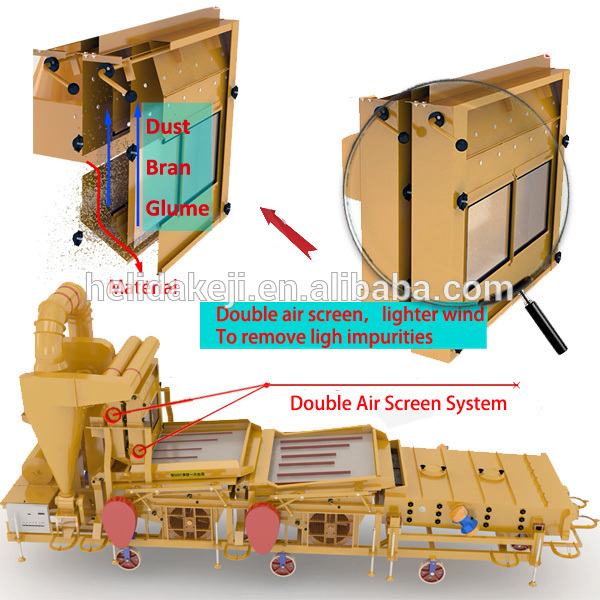 Environmental protection: The machine comes with a cyclone duster system. It can remove dust and other light impurities.We are the oxygen plant Chinese supplier. Our wide product range enables us to provide most flexible, efficient and reliable equipment configurations or complete solutions for customers according to different requests and budgets. 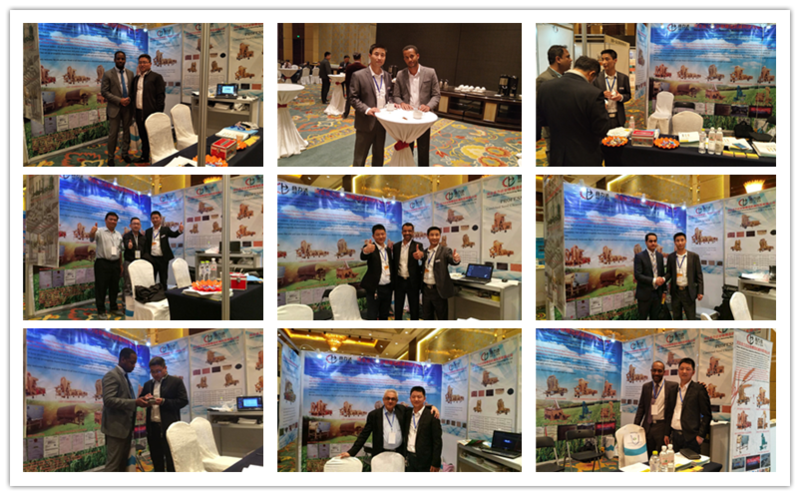 Before placing orders, customers are warmly welcome to visit HELIDA and our facility. We can also arrange the visit to our existing customers to learn the operation condition of our machines and complete plant. 2. Strict quality control by in-production 100% check and test. 3. User manual and spare parts provided for free. 1. Fast technical guidance for construction, installation and commissioning. 2. Necessary training for daily maintenance on site. 4. Lifelong regular technical service. 5. Timely solutions to problems. Q: What do you need to know for fast communication and quotation? A: It would be highly appreciated if you can provide details of your processing material specs, capacity and efficiency request, screen specification, motor power supply voltage and special brand needed, and other working conditions. A: 10~30 workdays, depending on the type of machine and parts availability. A: T/T, L/C, Western Union, Cash accepted. 30% deposit with purchase order, 70% balance paid before shipment. A: Quality control by incoming material inspection, 100% in-production check and random check after packaging. Spare parts and technical solutions provided timely for machine failure. Q: How do we visit your company? 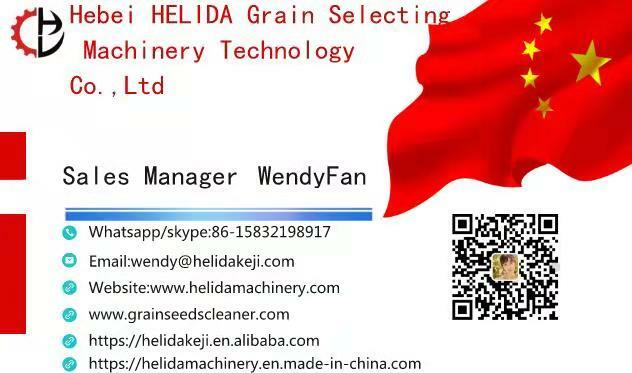 A: HELIDA Machinery is located inSouth Shijiazhuang Industry, Hebei Province, China. 0.5 hour drive from ZhengDing airport. 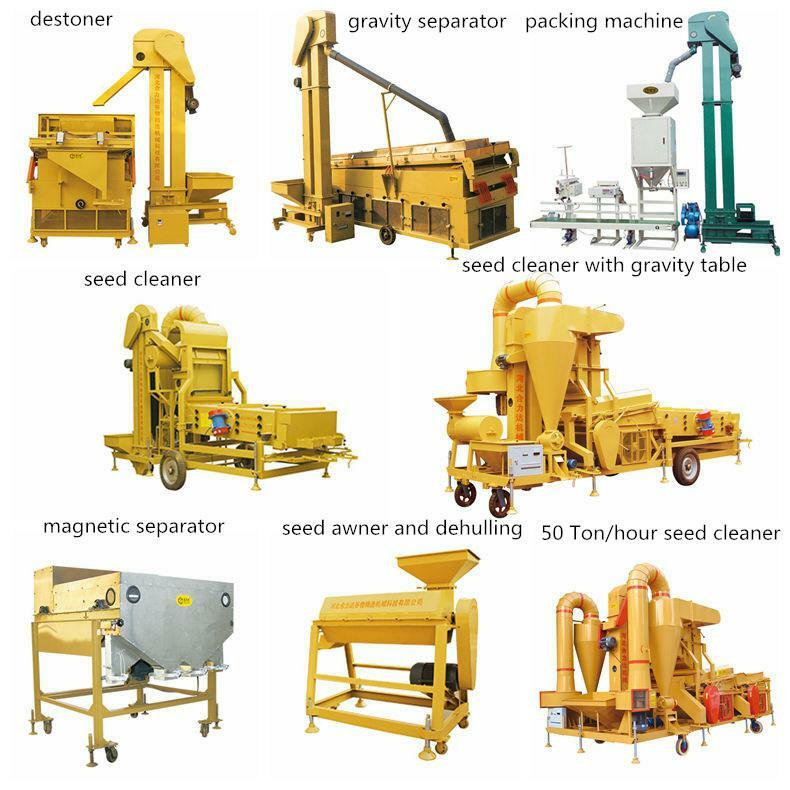 Looking for ideal Seed Cleaning Machine Manufacturer & supplier ? We have a wide selection at great prices to help you get creative. All the Seed Cleaner are quality guaranteed. We are China Origin Factory of Soybeans Seed Cleaner Machine. If you have any question, please feel free to contact us.